Hello everyone, and welcome to the week! It’s time once again for our look back at the noteworthy updates of the last seven days. It’s a good mix of popular free-to-play hits, some great paid games, and a few niche titles, too. Plenty to comb through as you enjoy your morning coffee, or perhaps your lunch time cola. I’m… I’m not sure what time this will be posted? Do whatever feels right, friends. Of course, you can keep an eye out for updates yourself using AppShopper or by participating in the TouchArcade forums. This weekly summary is just here to fill you in on the things you might have missed. Let’s go for it! Choice of Games, Free As always, if you see Choice of Games appear in this article, you know it means it’s time for a new game. And this one is definitely something you haven’t seen before, I’m sure. It’s called Drag Star, and it puts you in the role of a contestant on a reality TV drag competition. Build your character in the persona you want, throw shade at the other contestants, or be sweet and forge friendships. It’s all up to you, but if you want to win, kindness only goes so far. Drag Star is available as an IAP for $2.99. Teen Titans Go! Figure, $3.99 I feel like this sequel didn’t hit with quite the same level of force as the original, which is a bit of a shame as it is awfully good even if doesn’t do a whole lot of new things. Luckily, it is still getting support in the form of updates now and then. This latest one adds 12 new repaints to the game, along with local multiplayer battles. Problems with cloud saves should also be resolved with this update, so if you were having issues before, give it another spin now. Jetpack Joyride, Free Okay, yeah, St. Patrick’s Day is over now. This update was on time, but my summary sure isn’t. Oh well, the event is still live in Jetpack Joyride, so shake off your hangover and get down to business if you want to enjoy it. There are three event-exclusive jetpacks, the Celtic Teleporter is back from previous years, and a new SAM skin. There are also some wild costumes and all the decorations you’d expect from a holiday event. Stardew Valley, $7.99 Some updates have so much going on in them that I have a lot of trouble condensing the information into a mere paragraph even when choosing just the highlights. This? This is not one of those updates. This has so little going on that I’m forced to find a creative way to fill the paragraph so that the precious formatting isn’t broken. And yet, it’s a useful update to a great game, so I wanted to include it. Anyway, Stardew Valley now has “pinch to zoom" controls, which should make it just a little bit easier to play. Yep, that’s it. 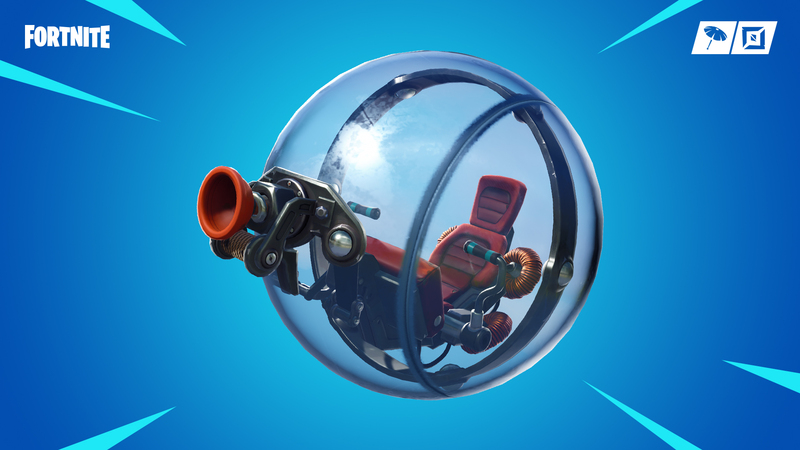 Fortnite, Free You may think that being put into a plastic ball and forced to run to move the thing is a disadvantage in combat, but those that know their Monkey Ball know just how wrong that notion is. So yes, here we go with a new vehicle in Fortnite. It is called The Baller, but let’s be real: that is a hamster ball. That said, it is a hamster ball with a grapple, and that may just be the most awesome thing I’ve heard of all day. In appreciation of that fine creative genius, I’m giving Fortnite this week’s coveted UMMSotW award. Ha, a grappling hook on a hamster ball. What a world. Guns of Glory, Free Guns. Glory. Of. This game has all of these things. Yet, is it enough? Sometimes I wonder if our ambitions are not too great. Have we flown too close to the sun with that grapple-hamster-ball? Will the heavens strike us down in our arrogance? I don’t know, but I do know this: Guns of Glory got an update last week. It adds a new contest you can try out by going to the Musketeer’s Fort, and some new Paths in the Combo and Gemstone Expeditions. Other than that, it’s optimizations and bug fixes and sadly, no grapple-hamster-ball. Perhaps we mortals may yet see another sunrise after all. Hearthstone, Free The next expansion to Hearthstone is just about ready to go, and this update gets the app all ready and prepared. You can pre-purchase the expansion in one of two bundles, each of which will give you plenty of goodies as soon as Rise of Shadows hits. The Year of the Mammoth is on its way out and will soon be rotating out to the Wild. To see it off, there will be some free packs, a special Tavern Brawl, and more. Check in each day to see what’s up and you will be nicely rewarded. There are a few other bits to this update, but I’ll let you check out the notes yourself if you want more details. Merge Dragons!, Free Well, the highlight of any update to Merge Dragons! usually involves new dragons, and this one certainly isn’t going to upset the order of the universe in that respect. What is odd is that these new dragons are taking the center position of a summer-themed event. It’s called Summer Dreaming, and the Diva Dragon and Cool Dragon are overseeing things. As always, play the event to earn some nifty rewards. That’s about all there is to that. The Simsâ„¢ FreePlay, Free Woo! Garages! Look, all we can do is pretend to be excited by garages, because that’s all we’re getting in this particular update. Build a single or double sized garage, set up a workshop space, and just… rock that cold room where you keep the car and all of your regrets, you know? There’s a new red sports car you can get to park in that new garage of yours, too. Also, I lied about there being nothing else in this update. There’s also a wedding event, and it has some new gifts and goodies to grab, including the aforementioned sports car. I mean, I just got a bread-maker when I got married. Solid bread-maker, mind you, but it’s no sports car. Cookie Jam Matching Game, Free And we’re ending things on a really boring note. Sorry, that’s just how things go in this wild world of ours. Yes, it’s our requisite free-to-play puzzle game update entry, and it’s exactly what you would imagine it to be. A new pack of levels have been added. In this case, it’s 20 new levels. It’s an extra scoop on top of a towering ice cream cone of content, and for those who have finished all of the previous levels, it will relieve the shakes temporarily.